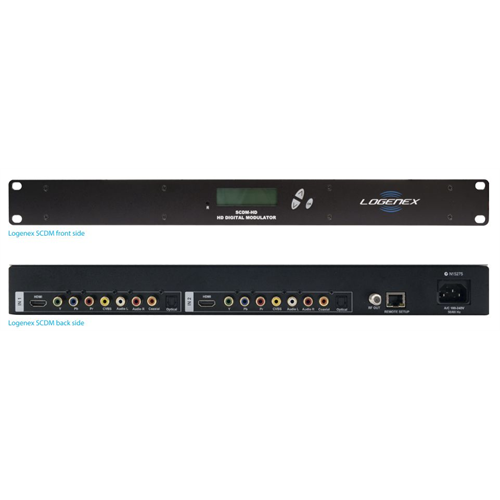 The Logenex SCDM-HD digital modulator takes a high definition video and stereo audio feed and injects it in to a digital cable channel compatible with new digital cable boxes and devices. Typical modulators are compatible only with analog cable signals but the SCDM is compatible with today's digital set top boxes. 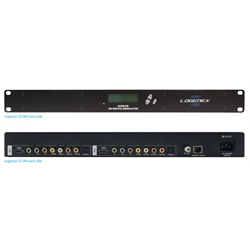 The SCDM-HD will encode a single uncompressed video input and stereo audio input using it's on board HDMI, digital or analog audio or component video connectors to HD MPEG2 video. An internal QAM modulator and low noise upconverter allows existing legacy fiber/coax networks to be used as distribution channels for digital signage content. The SCDM-HD supports up to 1080i resolution and comes in a rackmount configuration. Perfect for use with digital signage, CCTV security cameras and DVRs, computer or AV distribution in residential or commercial applications.